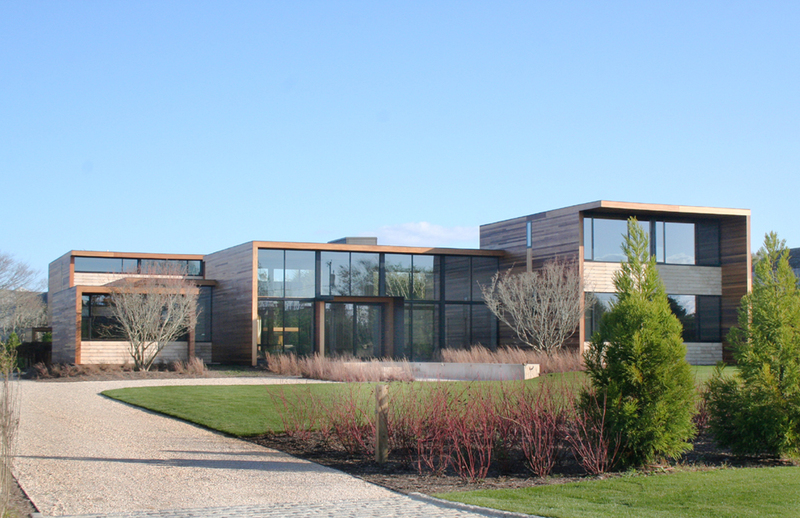 This dramatic home was the cutting edge of design when it was built. 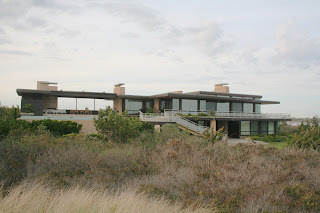 Modern homes like this are making a come back as part of the mid-century movement. 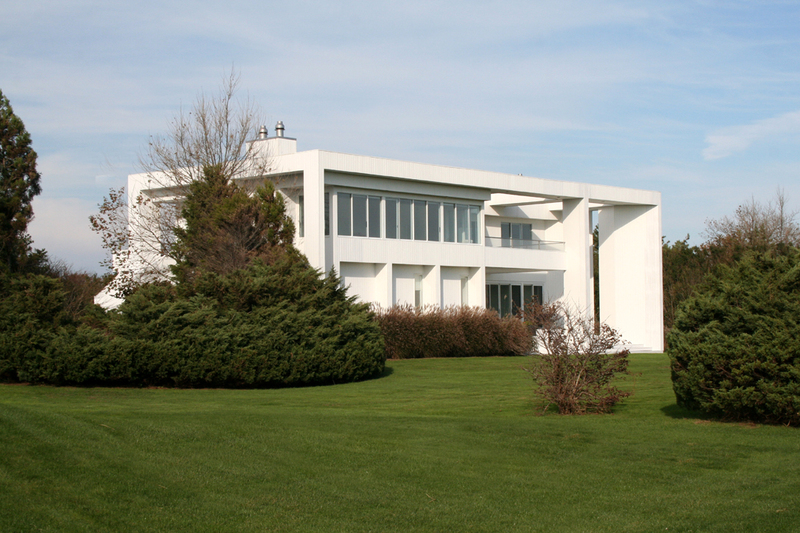 This mod classic home was probably built in the mid 1980s. 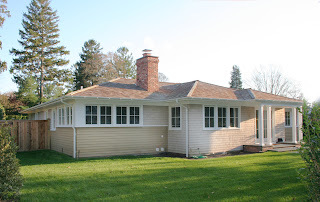 The siding is red cedar boards. The grounds are designed to make for easy maintenance with a; simple lawn, evergreen foundation plantings and a natural border at the edge of the property. I had thought it was allover for my rose. The wall it grows on looked like nothing but bare sticks. 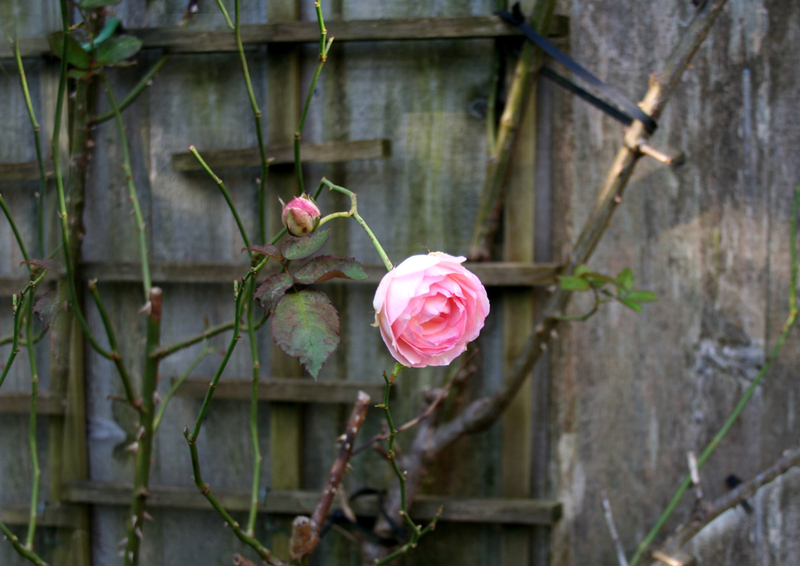 Then wow from nowhere I get a perfect pink rose bloom. Snow fence is set along the beach to help replace worn dunes. 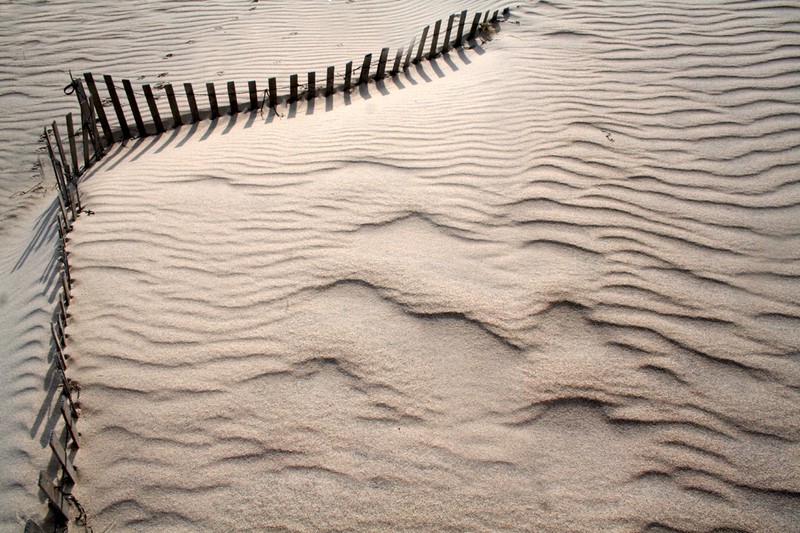 The fence catches sand blown by the wind. Over time this helps to build new dunes. 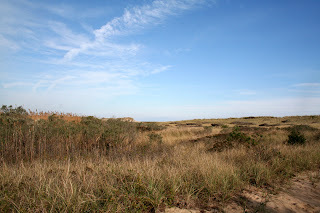 Often home owners then plant the dune with beach grass to further establish the dune. 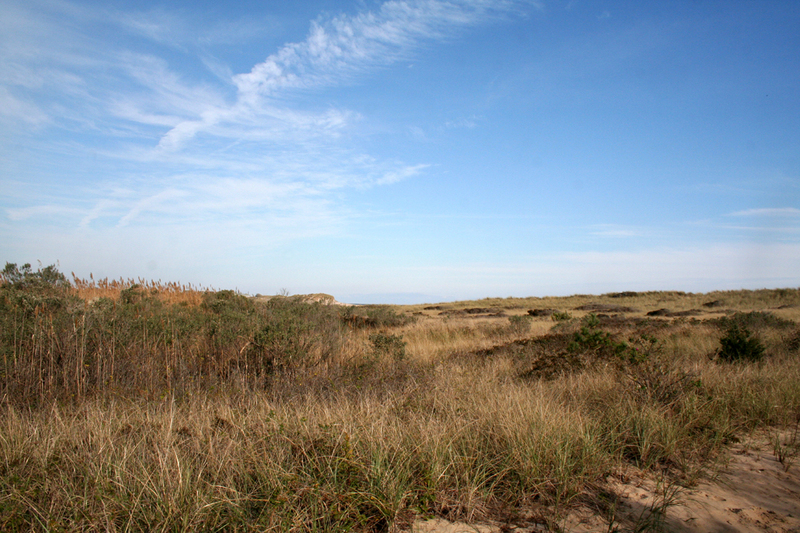 There is a walking path to the beach that passes near the south side of Sagg Pond. This is one of the few areas of the Hamptons where there are no homes in the dune line. 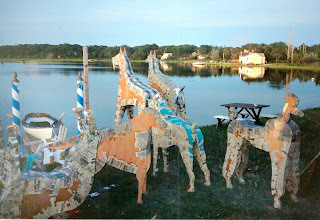 One can imagine that most of the beach front in the Hamptons once looked a lot like this area. 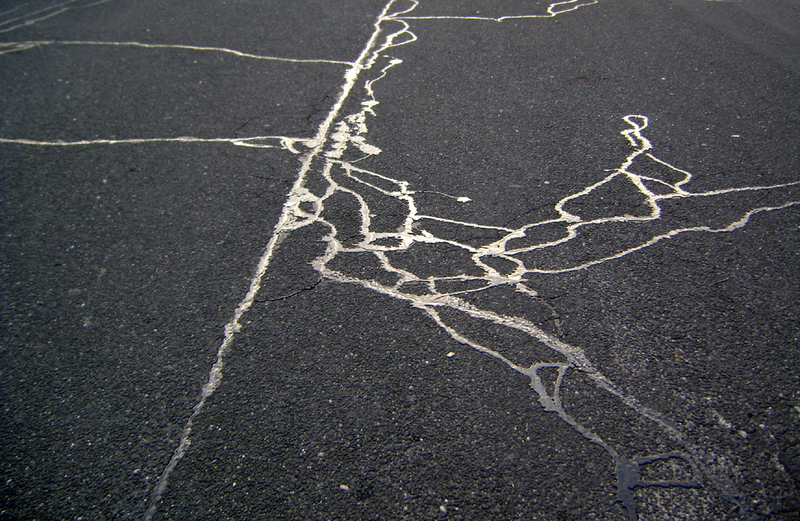 I liked how the sky reflected off this shiney new tar in the Wadbaums parking lot. 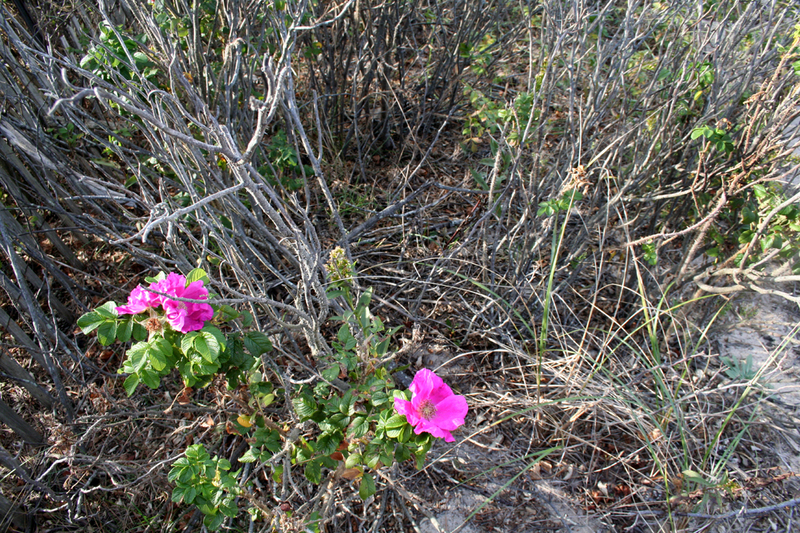 Walking down a nature trail to the beach in Bridgehampton I came across another late surprise. 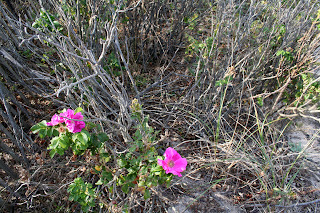 With most of the foliage at the beach looking very fall like this burst of color stood out. 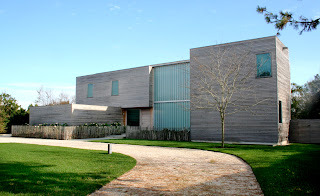 The street side of this home faces north. I can only imagin that the south face is walls of glass to admit lots of sun light. The north side designed for privacey. 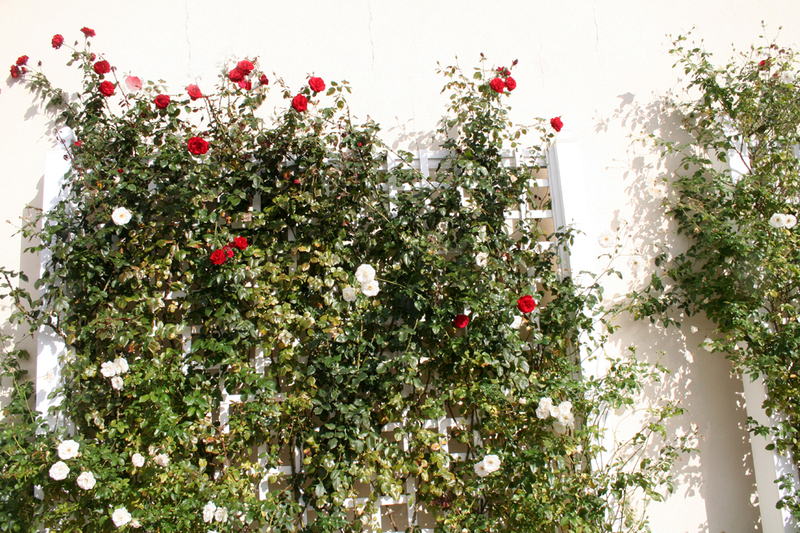 Unlike my own climbing roses, this wall of roses maintained by the Southampton Rose Society has burst into bloom in mid October. At my garden I can maybe get a second bloom in August. 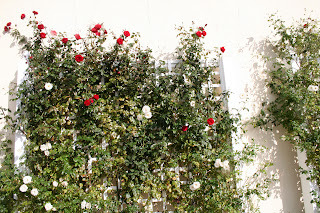 This wall near my office is on it's third bloom this year. Proof to me that the SRS really knows what it is doing. This new crisp modern home has just appeared on the Bridgehampton scene. The detailing is exceptional. 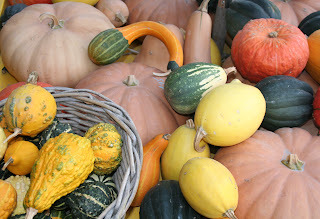 My farm stand of choice also had this nice selection of gourds spread about on a table full of cheese pumpkins. Cheese Pumpkins are the squat blond tone pumpkins noted for good eating. 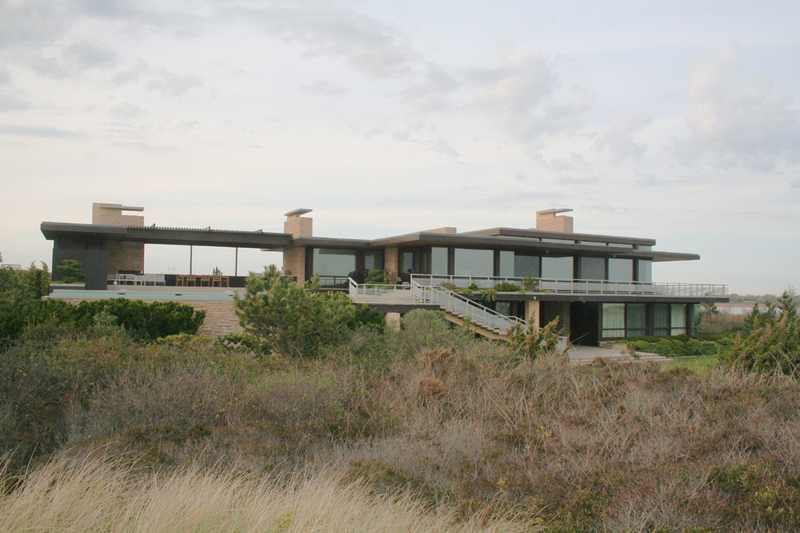 This sleek modern home perched in the dunes of Bridgehampton caught my eye yesterday. 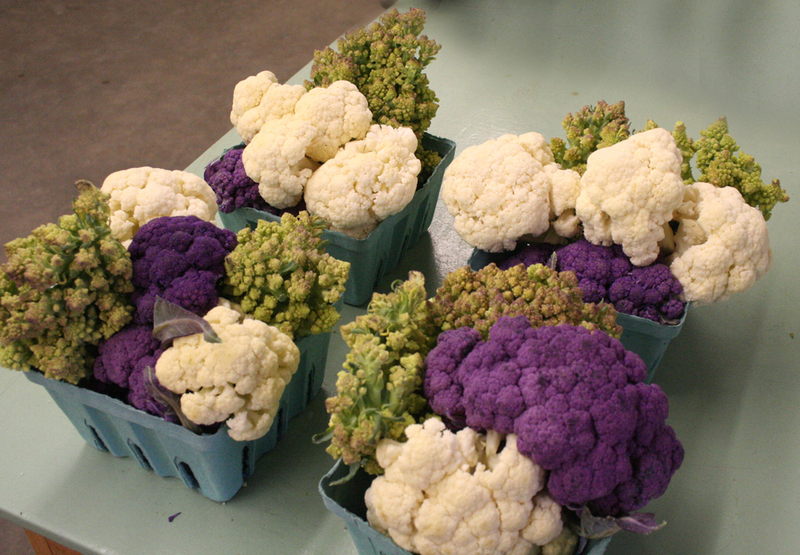 Cauliflowers come in a range of colors. They are all in the same family as broccoli. The Halsey farm stand in Water Mill had set out these samplers for cooks who wanted to try a few types at once. When I was in Palm Springs a few years back I thought that an AirStream trailer set up in the mountains would make a great get-away. A very good friend wants a cabin in Montana, that sounds drafty. 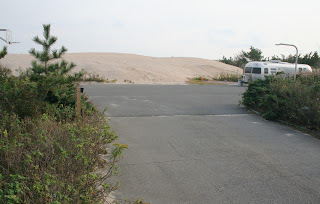 How fun the have this sleek trailer as a beach cottage, the large parking pad must help with sand control. 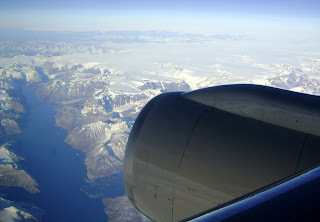 Heading back from England we had a rare view of the tip of Greenland, Brrrrrrrrrrrr that looks cold. The view was sharp and clear and I could see bits of ice in the water but no boats. 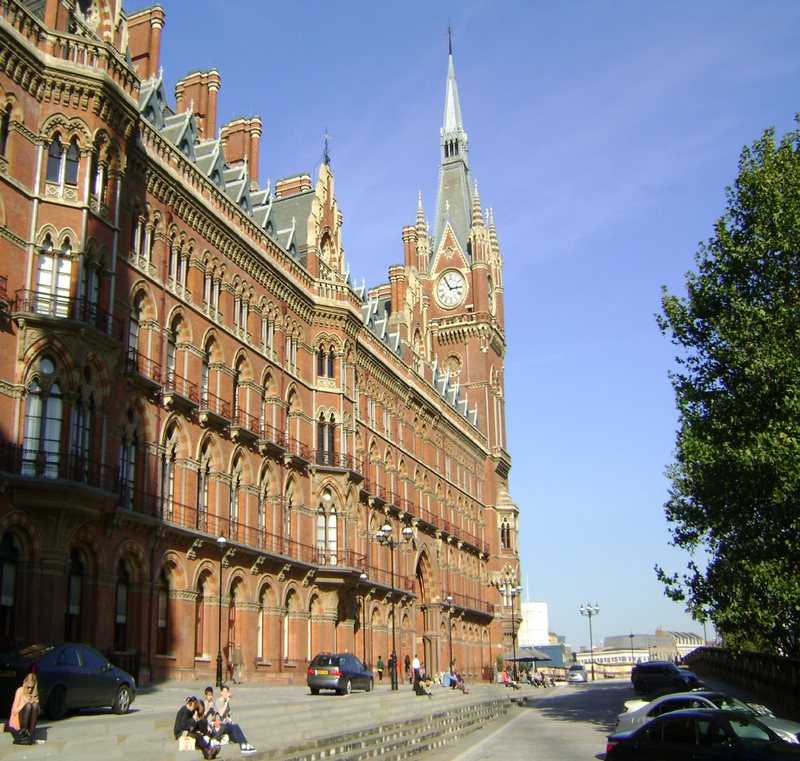 Kings Cross Station where I took a 90 minute train ride north at a cost of $ 141.00. The train was much nicer than the LIRR but also 10X the price. Last night I went to London. I took the train to the plane. 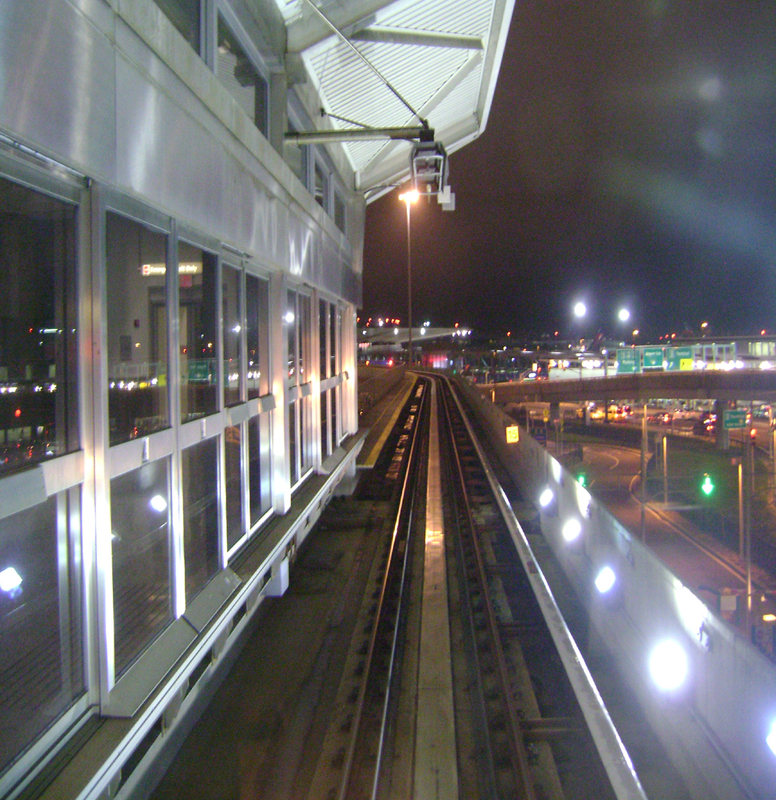 The LIRR has an excelent connection to the Air Train at Jamica Station. After getting on the LIRR the next time I was outdoors was coming out of the Tubes in London at Oxford Square. 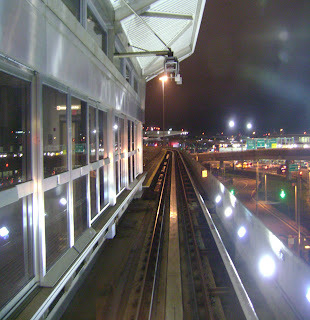 I had a front window view from the Air Train as it looped into the airport and I was thinking WOW the future is here. I expect a quick frost to set the feeling of fall. Fall colors are a product of shorter day light, not a product of cooling weather. 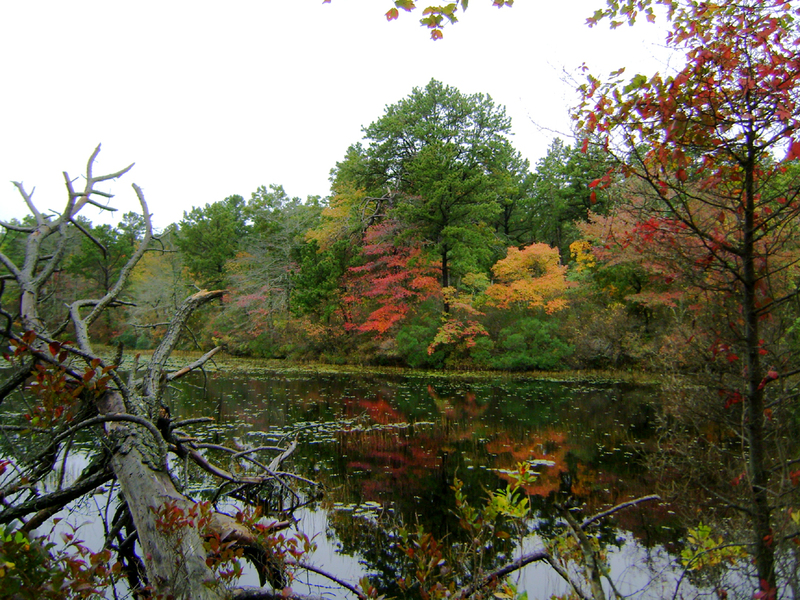 Colder weather can affect the quality of color in some trees. So far I think our coldest night has been in the mid 40s. 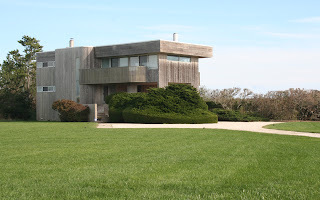 This fine four-square house was once the home of art critic Henry Geldzahler. Located in the heart of Southampton Village in walking distance to the coffee shops and restaurants that Henry loved. 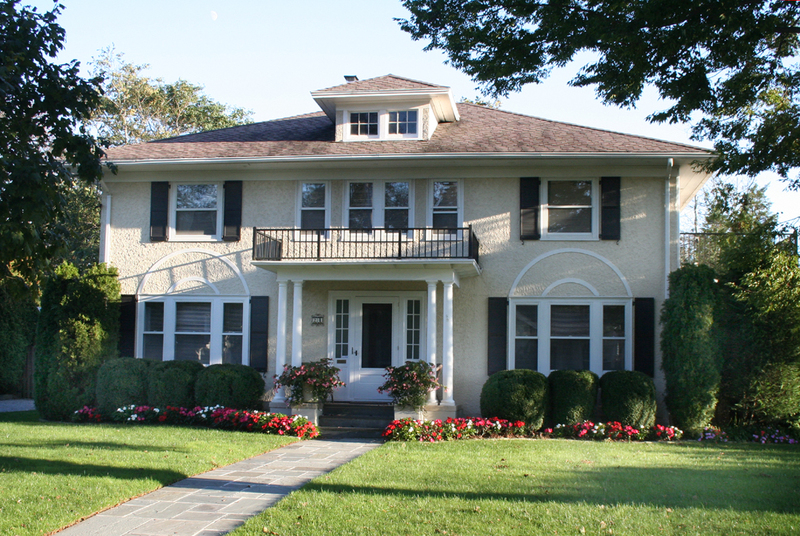 I have always admired this handsome home. When you purchase real estate in the Hamptons you will probably end up paying a Peconic Region Tax. 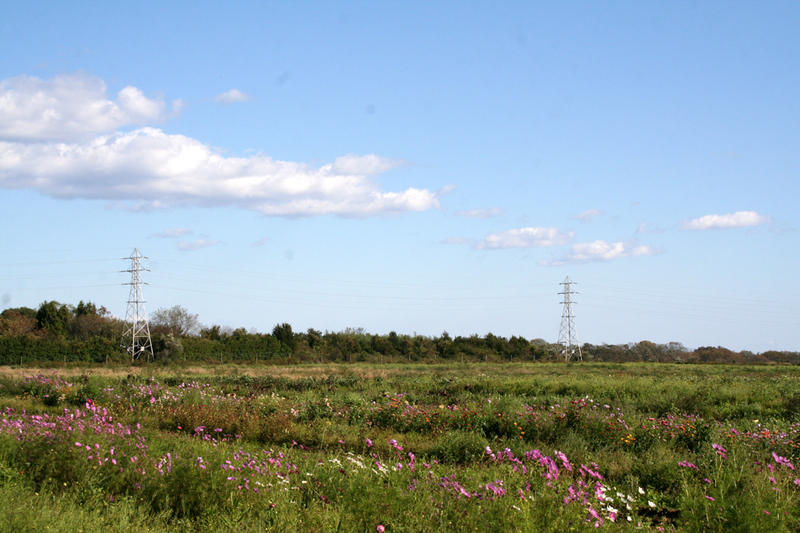 This is a tax collected in the three east end towns to acquire the development rights of area lands. 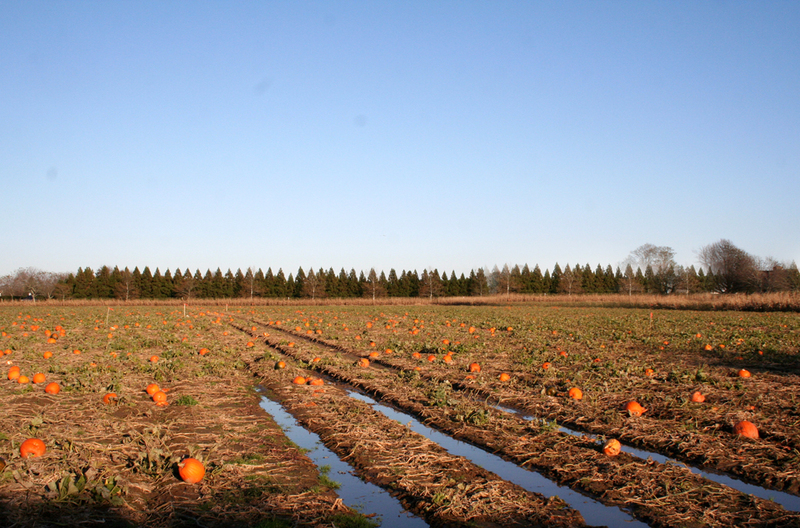 I think this field is a fine example of agricultural reserve. 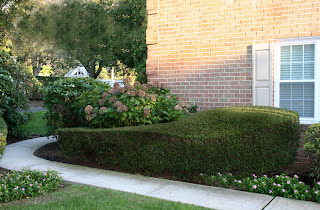 There are a lot of shaped bits of shrubbery along Layton Avenue in the village. These shrubs are on multiple properties with a variety of owners, all have been shaped into interesting forms. 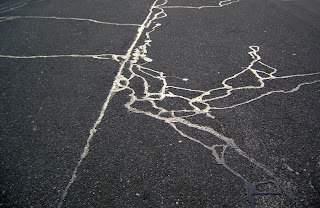 I liked this one a lot, it reminded me of a Nike Swoosh. 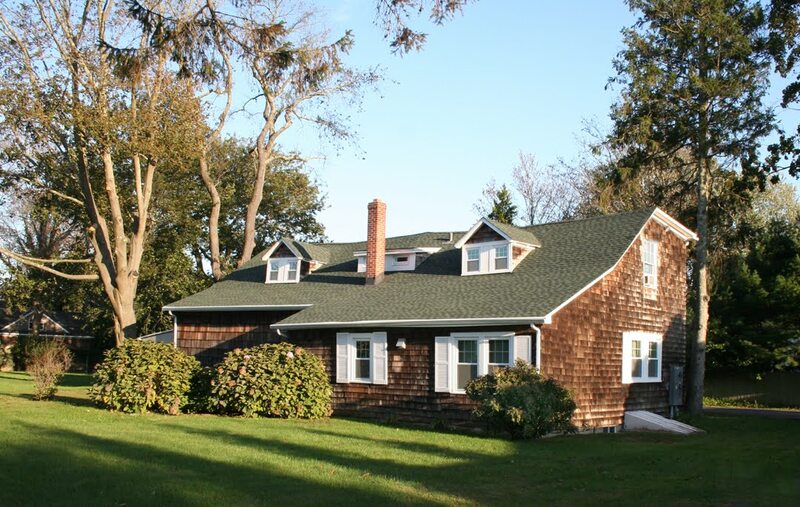 This older home on a quiet village street seems like it was once a true carriage house. 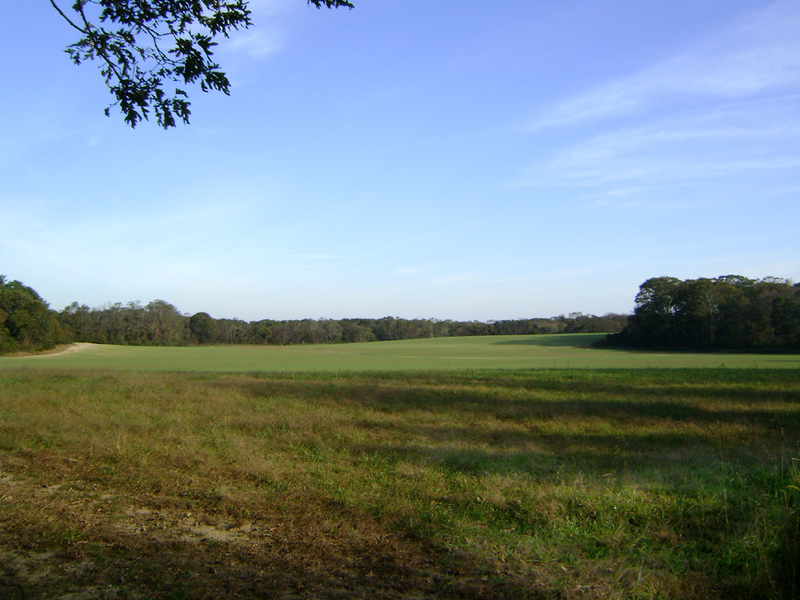 In an earlier time much of the land north of Hampton Road was active farms. 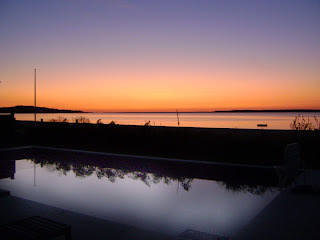 I was showing a home on the Peconic Bay this evening, we got there later than planned and the sun was just setting. This home has a rare beach side swiming pool. On the horizon you can see the shadow of Holms Hill on the left and Robins Island on the right. 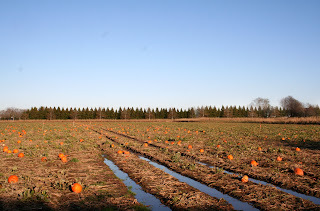 I was driving along North Sea Mecox Road and passed this farm field. 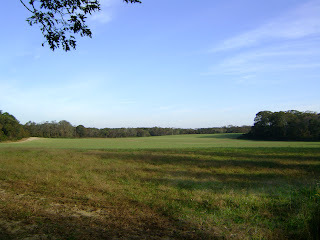 The field had a huge high fence to keep out deer and others. I poked my camera lens between the wires of the fence and took this photo. The flowers are mostly cosmos that escaped cutting for the summer season. 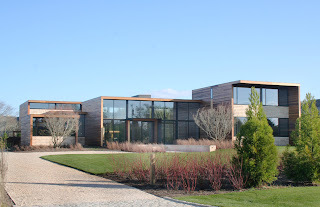 Most of the new homes I see in the Hamptons are based on homes we have all seen before. The ranch house started as a design from west of us here. 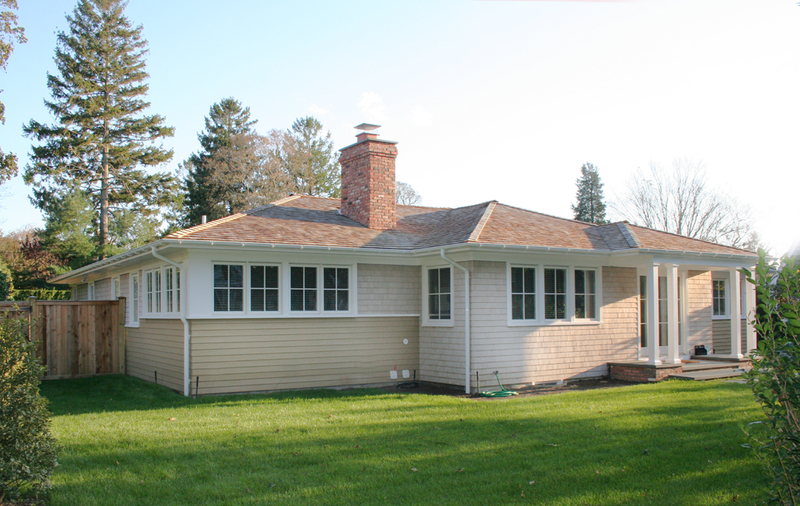 Most of the ranch homes we see have been badly watered down from the early designs. This home started out as a very ordinary ranch home. I think the reinvention is inspired. 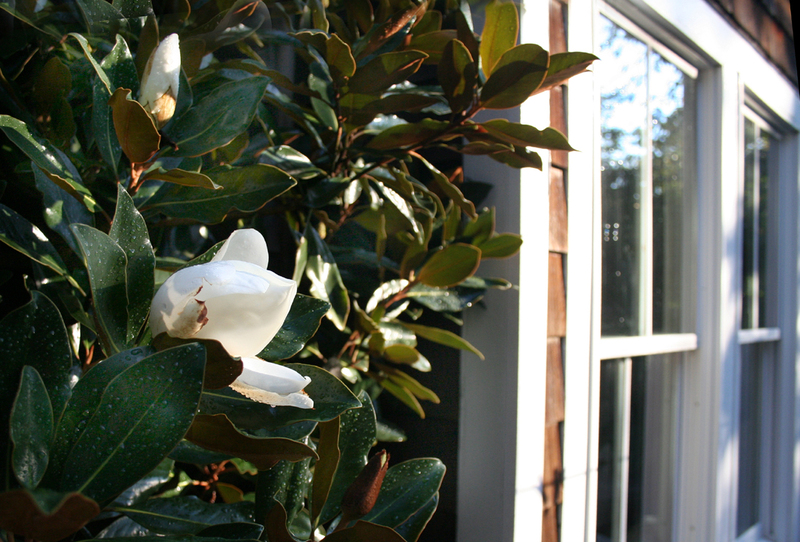 Go figure, the espalier magnolia grandiflora on the south wall of my house is in bloom again. The tree dose not like winter and needs this protected setting to make it though our winters. In the spring after a winter of ice and show it looks very beat up. This fall after a nice summer the wall is full of rich green foliage. 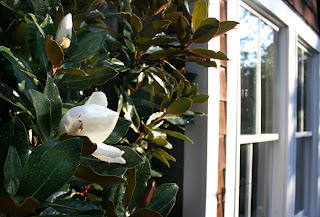 I usually get a round of blooms in late spring, I was not expecting more flowers now. There was a meet of antique cars out east the weekend. 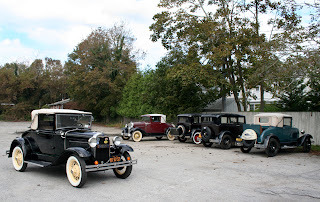 This group of Model A Fords had collected in the parking lot across from my home. The model T may have been first, but it was the model A that sold like hotcakes. This photo shows the two and four door versions. I had never heard of the Montauk Daisey until I came to the Hamptons. 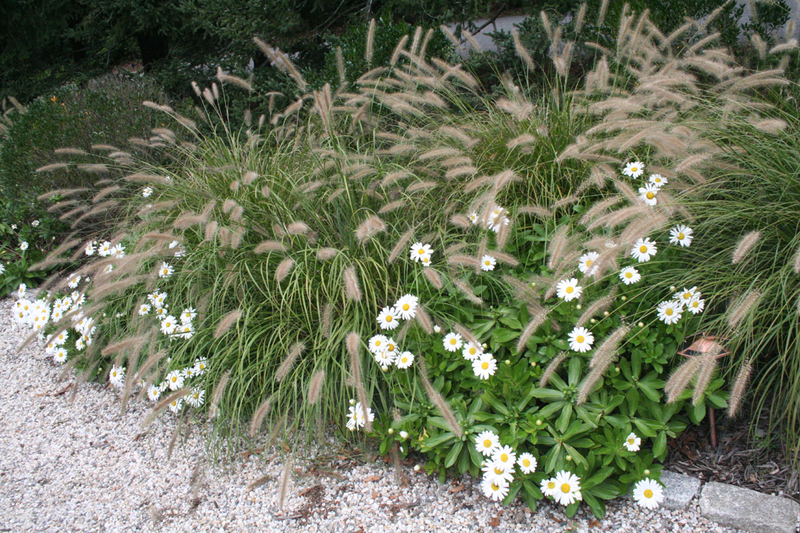 The plant blooms much later in the season than the more common Shasta Daisey. The leaves are more leathery than the typical Daisy and seem to tolerate salt spray and beach conditions. In the later 1980s I summered on Towd Point. One summer we made very large Papier Mache dogs for an ARF benefit. Some of the dogs are still used today for select events.